Can South African foreign policy drive change in SADC? 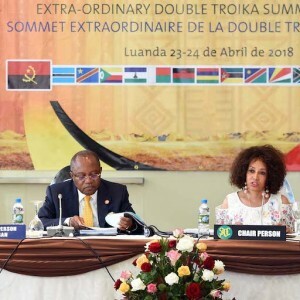 South Africa ends its tenure as chair of the Southern African Development Community (SADC) next month when it hands over the reins to Namibia. How has South Africa contributed to peace, security and regional economic integration? How can South African foreign policy continue to drive change in the region? This seminar will discuss South Africa’s role in SADC and key issues on the agenda for the organisation and its secretariat in Gaborone.